PIFF’s a Baltimore M.D native. Born in Columbia M.D. “I lived on the west.” (Cooks Lane and Edmonson Village, Catonville & Owings Mills). “I am a true hip hop artist. I spend my free time making hitz with people from all around the world. I can truly say that I’m blessed. I have an wonderful wife and 4 kids. I love my life. Piff Rec’s is a movement for Hip Hop!! I started Piff Rec back in 2008. In my opinion, I have worked with some of the best”. 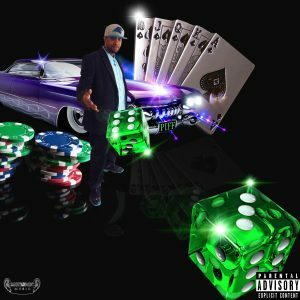 (Manstar,True life,Chuk Dee,Ceazar-AR15,40,Hardwhite, Sinister,Manish,Tech,Pretty-Boy-Paul,One of One,Delgado DA Bo$$,Pistol P aka (P-Money), Honey, P-Tag,Smoke,Black,Sause,Burt,Rell,Nino,Zavy,Alias the Artist,Jay-Blanko,Key-Lo,Columbo,Fah-Que,Nappz Rappz,PT,BoyCott,Camanchie-Da-Don, Block,FEE,Tone,Cory Cannons, Mr’ Mean, Nanna,QB,Rude-Boy,Beast,Frenchee,Dez,Mike,B-Hav, JTheRapper just to name a few. I wish all artist well. I got what this industry need’s, so watch out, PiFF REC is hear to stay. Now relocated to Durham NC. I love it Hear. My second Home.